I hope you enjoy this list of the best places to buy beads online! 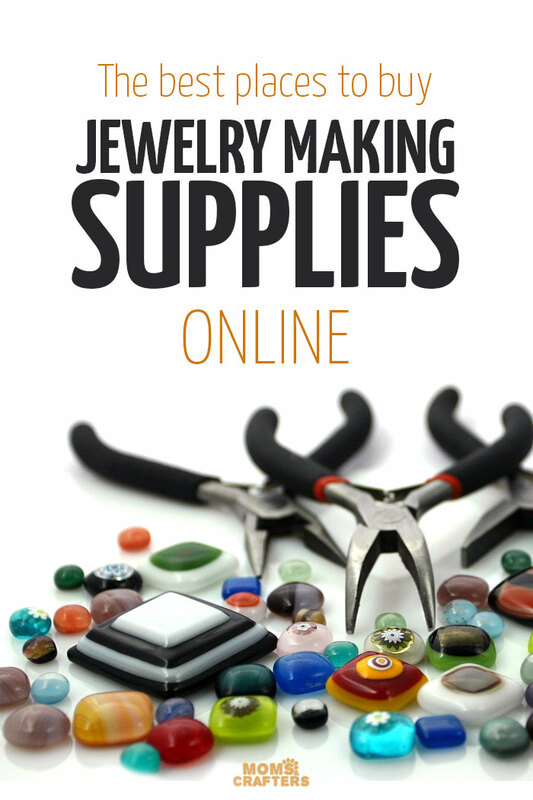 I usually do my bead and jewelry making supplies shopping online, and so I decided to share with you some of my favorite resources, to finish off my jewelry making series. Don’t worry – I’ll still be posting plenty of jewelry making crafts (you can expect a few a month). I can sift through and decide what I’d like to buy more easily. I can budget more easily and see my subtotals as I shop. I can get cash back on some of my purchases via Ebates. This often helps me justify when there are shipping costs, as it often covers all or most of it. Another great cash back resource is Giving Assistant. Install their browser add-on so that you don’t forget to use it! These are my personal favorite suggestions, sifted out from among a vast array of retailers. Try each one separately, browse around, and then pick your favorite. I will update this list as my preferences change. FireMountainGems.com – I use this for my bulk bead shopping, when I want a combination of reliability in quality, and good bulk discounts. My average orders from there are $250+, so there are my stock-up runs (and my #1 stop). I do get an amazing amount and great quality for the price. You have to pay shipping and handling no matter what the order size, but they have an affordable flat rate. Their bulk discounts apply over your whole purchase, so you don’t need to buy a lot of a single item. This is my recommended stop also if you are shopping for “real” things as it’s a reliable stop. So get your silver, gemstones, and crystals here. Michaels.com – If you want a limited, uncomplicated high-quality selection, Michaels is the place to shop! They are also great for smaller quantity packages. PandaHall.com -If frequents sales are important to you, PandaHall tends to have regular discounts. They are easy to shop and have a huge variety, but some things do come in larger quantities. AliExpress.com and Ebay.com – You have lots of Chinese based sellers offering super cheap products, with free shipping on even single items. Since the quality isn’t usually the best, I use this when I need a single item and don’t want to pay for shipping. I also use it only for fashion jewelry – not higher end pieces (definitely not gemstones or brand name crystals). They’re perfect for small orders. Shipping takes time, so it’s for projects I plan in advance. Amazon.com – I use these for medium size orders, as they ship free, and when I need something to arrive faster. I also use this if I need things from Amazon anyway, to get to the free shipping rate. If you have Amazon Prime, many bead items ARE eligible. What are your favorite places to buy beads online? Do you have an experiences to share? Etsy – support small businesses! The variety is enormous and quality/dependability varies by seller, so check seller reviews! Scroll through the comments section for more! 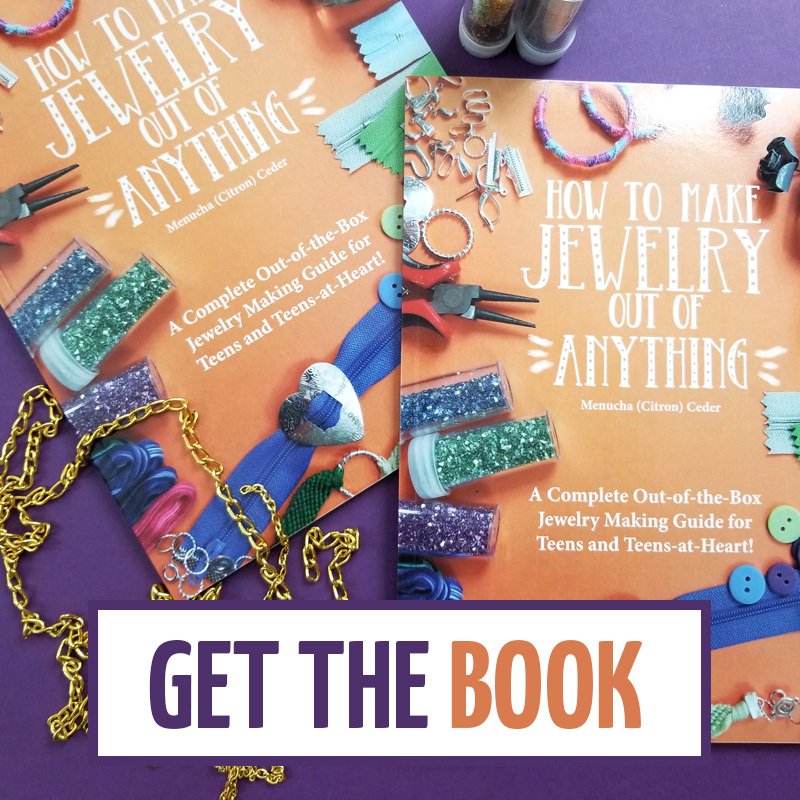 Jewelry Making Crafts, Jewelry Making Guide. Bookmark. I’ve read some some not so good reviews on Aliexpress. Your experience been good? So far so good. They take forever to come (give it a month or two) and the quality is usually okay, but not great. I use them when I need something cheap, and not for resale. So far anything I’ve ordered has arrived as expected. Oooh, I wouldn’t buy the “real things” there. Those are DEFINITELY not real. I would only get glass, wooden beads, not swarovskis or pandora. I’ve never been billed twice though and I have ordered many times. How do we get wholesale prices? I have my state tax exemption number, but I have no idea where to shop for the extremely low prices I kept hearing about. You need to go to Alibaba to get the real wholesale but that’s crazy bulk. Aliexpress does retail, but still very low prices. Thank you! Is Alibaba my only choice with wholesale, then? Sorry to bother you, but I don’t have anyone else to ask. Patricia, NO problem, no bother!! I don’t know of any other places. Fire Mountain Gems has good bulk discounts, without actually having to choose a wholesale option. I’ve used them a TON. You can browse through the other places here that people recommended – some may be wholesale. i use a lot of shops on Etsy. Beautiful beads from Ghana, sea glass and lamp work are some of the shops. That are small businesses wanting to please you and keep you as a customer. Just type in what you are looking for and the shops appear. Etsy is a great source for supplies as well – thanks for adding that in! Especially if you want to incorporate artisan components in your piece. and Fire Mtn Gems are also good. I live somewhat close to shipwreck beads and have been there multiple times. I have always been pleased with what I get there. Check out Artbeads and jewelrysupply.com. They are both Swarovski retailers. Artbeads also has a rewards program. I love both online stores and have ordered many times with absolutely no problems! Hi! As someone who makes a lot of jewelry (and teaches jewelry making classes) I’d like to add a few of my favorite sites. Wirejewelry.com for wire wrapping supplies and pearls. Rio Grande if you have a resale license and want the highest quality materials. Goody Beads is reliable and has free shipping over $35. Rings & Things and Beadaholique are both very good for small bead orders. Awesome, thanks for your input! I’ll be checking some of these out for myself personally! I am a huge fan of ArtBeads.com myself. Their selections of crystal and plears are fabulous and this is also where I get my silver and gold wire. They have a points system and after a certain point value they give you gift cards. They also have free shipping after (I believe) $15, otherwise everything ships for $2.99. After a certain amount of an item purchased, they will drop the price for a “bulk” order. The target number does depend on what you are buying, but when buying more of a more expensive item, the savings really begin to add up! I love artbeads also ! They have frequent sales and the customer service is outstanding !! I think Rings & Things has the best color choices and prices for Swarovski as well as other supplies. Shipwreck beads is also really reasonable, and if you sign up there’s a weekly drawing for a gift card! 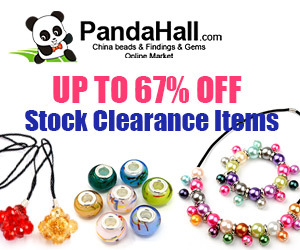 I buy from multiple suppliers, mostly already listed above but I see that three really great suppliers are missing: Fusion Beads (fusionbeads.com), Lima Beads (limabeads.com) and Artbeads (artbeads.com) – all have regular sales, good quality product, a variety of beads, stringing materials and tools, and fast shipping. I forgot about Lima Beads! They are great too! So glad to that! Just placed my first order. Where do you buy silver colored metal beads? I’ve purchased silver metal components for beading whose color has rubbed off upon wear. Any trick to finding the right metal components without going to sterling silver? Pewties work fine if you can find them, but what else? Thanks for any insight. Happy Mango Beads has a great selection of globally sourced beads including metal and high quality pewter. They have frequent sales and awesome customer service. I highly recommend them! I belong to a bead group, so we have purchased a lot of beads. I actually compiled a whole list and descriptions of what they sell to refer to later. Artbeads, Fusionbeads, GC Supplies Texas on Etsy , Auracrystals.com, Simplybeadsusa.com, and Beadabeada are all good. I like cooltools.us. They have really great videos, gemstones, tools, metal clay and so much more! What are the best places for gem stones, like blue topaz or aquamarines? I’ve just been using Etsy but the prices and quality can be iffy. For gems you might prefer to go with a “known” seller such as Fire Mountain Gems. I have bought silver findings from Doreen beads – some shipments take a few weeks but have always gotten them on time – I love this place!!! giftsjoy.com! They are amazing. A california based company that says clearly if it is authentic gemstone, dyed, etc. Prices are awesome and I have never been disappointed with quality or customer service! I mostly use eBay. But if I want really pretty wire, I buy from artbeads Theirs have the most beautiful look. Thanks for the giftsjoy tip. I finally found exactly what I need there at a price I can afford. ? I use allot of seed beads, Czech glass beads & natural/gemstones plus vintage pieces & find Beadshop.com to be spectacular & educational:). For bulk, I tend to gravitate to Goodybeads.com. Thanks so much for this. It was valuable. Starting my jewelry company. All helps! Love Fusionbeads and Artbeats. Plus they both have great creative idea pages. But my go to place for bulk Swarovski crystals and silver charms is bluemud.com Fairly fast deliveries and I’ve never had a problem. Somewhat limited on verity. Thank you for sharing – I’ve never heard of that one! A very good source for seeds beads if many sizes is http://www.bakerbay.com also have stone shell glass and bone. I am curious about Panda Hall. Does it cost a lot for shipping if you only order small amounts like $50 or so? I find their info daunting re: shipping and want to make sure there aren’t some surprise charges when items are shipped, like an extra $10 or something import fees! Beads are often sold by weight and you can probably find calculators online when they aren’t (for example average weight of 8mm glass beads). I’d do a rough calculation, then go to my weight and see which one makes the most sense on their charts. It makes sense to go small if you’re worried about import fees. Where are you located? I’ve ordered from Panda Hall a few times now and been very happy. The only thing I’d warn you about is if you use DHL for shipping. I don’t know where you’re located but I’m in Canada and I know that here if you spend over $20 (before shipping), they automatically charge a brokerage fee of $20 on top of duty! The last time I ordered over $20 I chose the shipping option that stated it was duty free (SLCA). It took a little longer but it was still trackable and it was worth the wait to save the duty. They are also very generous if you request samples of types or gauges! One of my favorites is Beadshop.com. They have beautiful things for beading and videos on YouTube . Also live on Facebook every Wednesday. Has anyone heard of dollarbead.com? Chris, Yes I’ve heard of Dollarbeads but have never dealt with them. I may try to purchase a few things from them to see how they are. Thanks everyone for the great tips of places to buy. I am having to purchase smaller amounts these days, but have purchased from Fire Mtn, Etsy, and ebay. But I look forward to checking those other places out! I recently found some eBayer located in the states, prompt shipping and as far as I can tell are a great product, my email is my first & last name (below) at gmail if you want me to send you a few pics. (PLS put in the SUB line: Photos of Beads from 3 eBayer Sellers. So j can catch it among all the other mail that comes thru. If you buy from all three companies, you’ll notice you are paying the same person in PayPal — But I honestly had no problems with them. I think I paid more in shipping than I did for the prod, in some cases. (Was still an awesome deal for Lemon Jade & Jasper) Normally they ship things for 1.99 – 1st item, then $.50 per item. Between the three companies I used, I communicated with Chayatech the most. Because with eBay/PayPal they will only allow you to pay for 40 items at once, she was wonderful about crediting my $1.50 on several orders. They others eventually did automatically once they were aware of the 40 item limit. They have beautiful pendants around $3.50-5 and beware of the occasional $4.99+ Usually for a better product. There Silver plated/SS is true. At least for the earrings and fishhook findings I purchased tho I may of gotten a deal then, and you can find a better deal out there now. I have one other eBayers for findings if your interested. Great answers…………Where’s the cheapest place to buy bead trays….tackle trays….I need about 20. ??? Thank You for your time and efforts…..
Hi, Ive treid a few of the sites mentioned above and have had no problems. Thank you for some I jave never heard of. I want to branch out and get into more custom pieces and am loooking for a supplier of sterling, gold and copper that I can use for making cab settings, rings, bracelets and casting. Does anyone know where is a good place at reasonable prices? I know about rings n things but thats about all I have found. Thanks for any help! Good Morning. Just running across this post. Had to leave my thoughts. I too use the mentioned companies. I love to wire wrap cup chains on earrings. Giving a shout out to Hord Crystal in Rhode Island. Just love their cup chains. And Silver Enchantments in Arizona. They are both affordable with wonderful products. Does panda hall have real quartz and amazonite ? Hi, I just ran across this post while doing some research on trying to find descent quality jewelry supplies without breaking the bank. I was just skimming through the comments and I don’t believe Beadaholique.com was mentioned unless I missed it. They have a rewards program and free shipping on US orders over $25. They have a lot of products at reasonable prices. I just thought people should know about them. Does anyone know about a good and unique website to buy charms and pendants? Check Blue Mud for beautiful charms. Thanks for the great info! I’m looking for spools of chain~ chunky. Best place to purchase? Real metal? Plated? Every time I look for chain on Amazon I see some great bulky spools. I’ve also bought from Fire Mountain Gems in the past but like years ago..